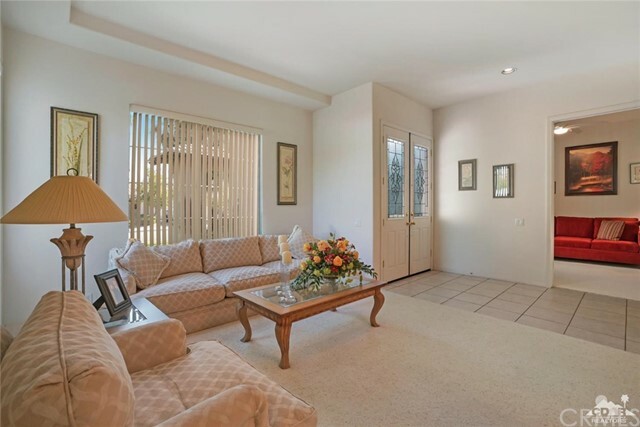 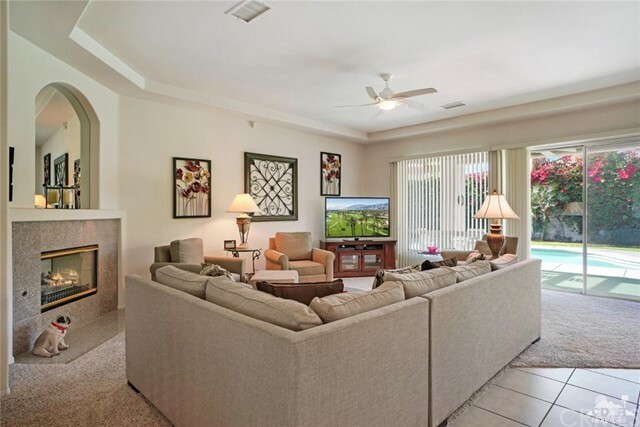 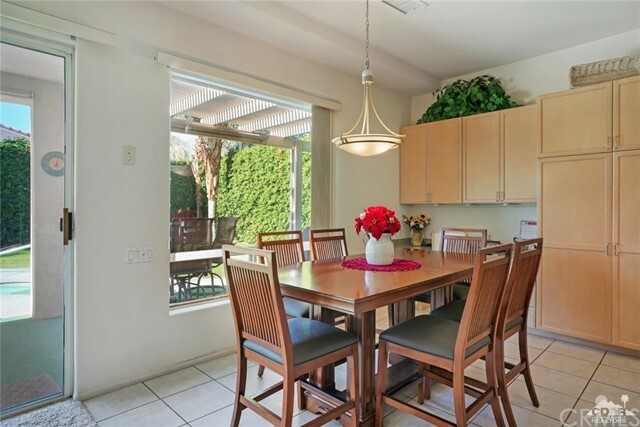 A lovely, spacious home located in La Paloma. 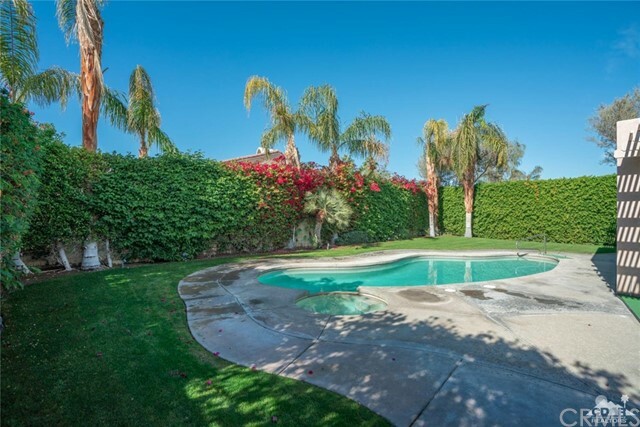 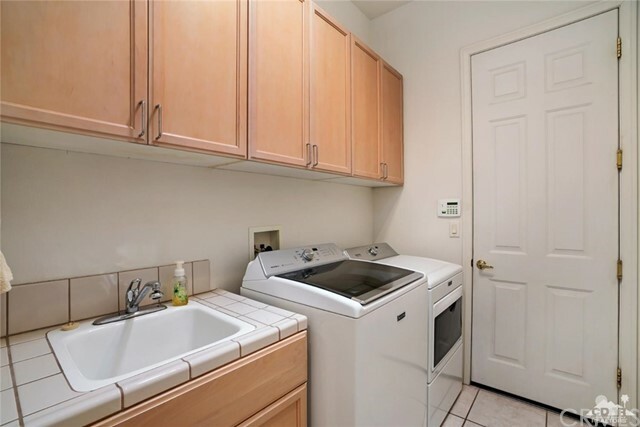 This private, well-maintained property features a gurgling water fountain in the entryway with mature, green landscaping all around. 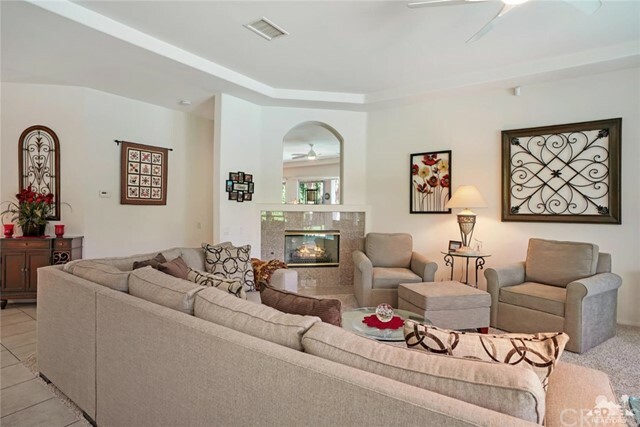 The living room with dining area greet you as you proceed to a large open family room with fireplace, roomy kitchen with granite counters, and a second dining area. 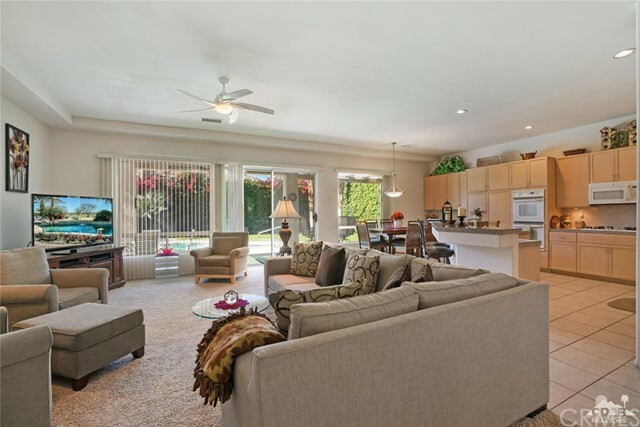 Throughout, scale is enhanced by coffered 10' high ceilings. 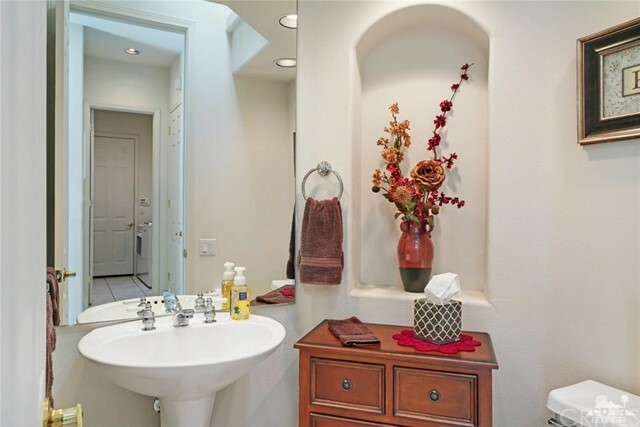 Bedrooms & baths are generous. 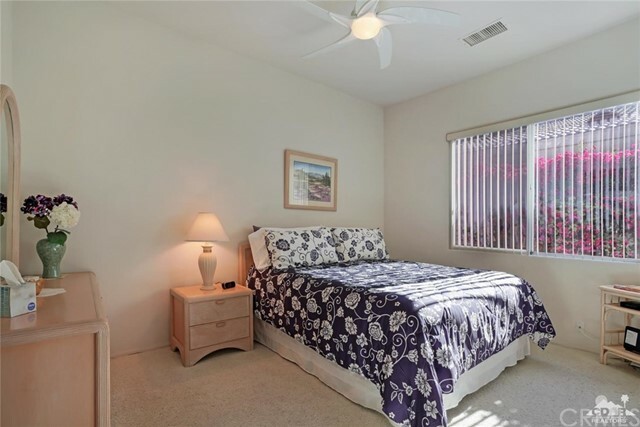 Currently used as a den, this room with closet offers the option of a 4th bedroom. 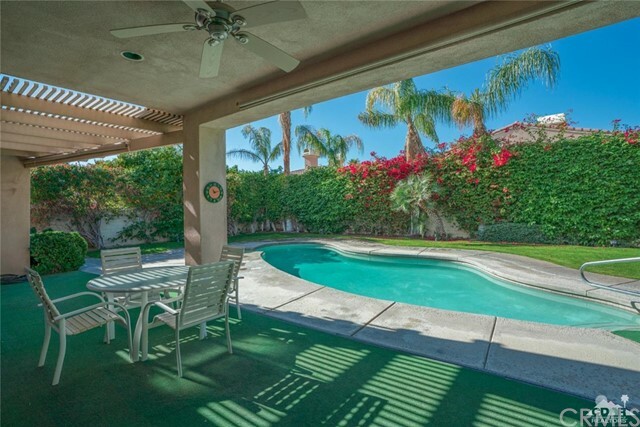 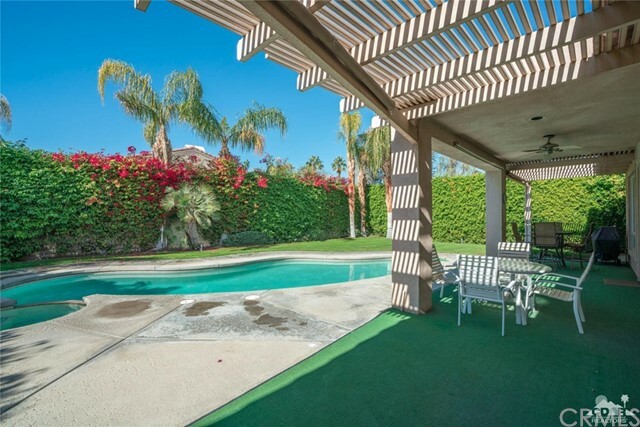 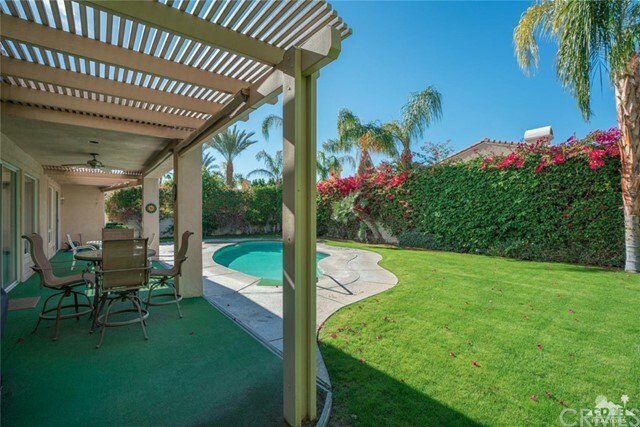 The covered patio provides cool shade as it opens to a sky blue pool edged by lawn and enclosed by tall, colorful bougainvillea. 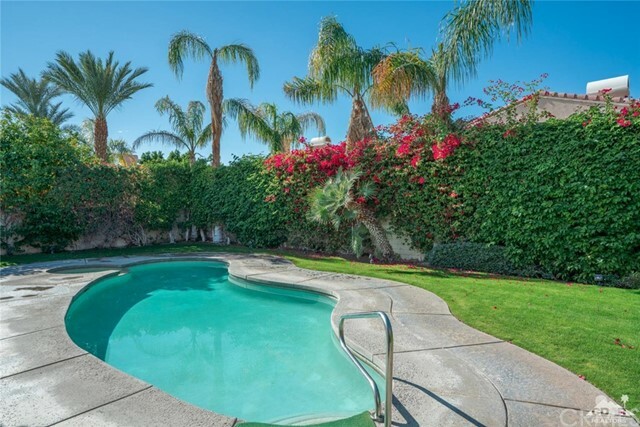 Secluded & private. 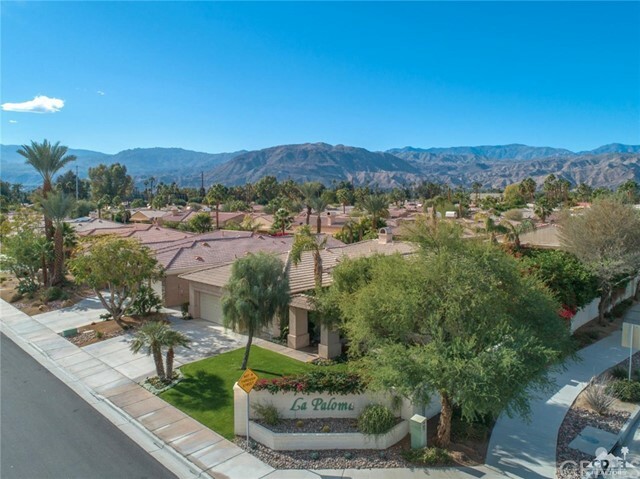 Central Palm Desert location. 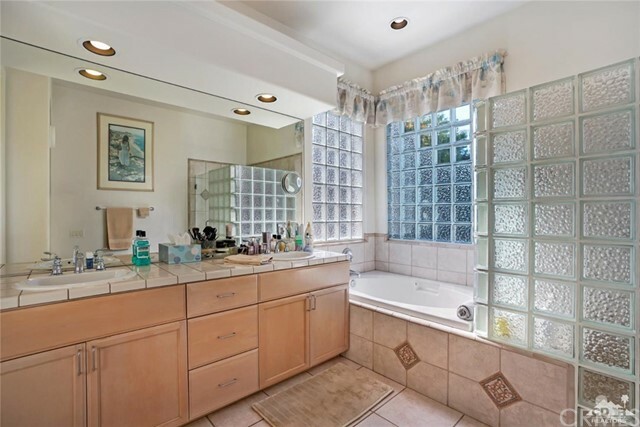 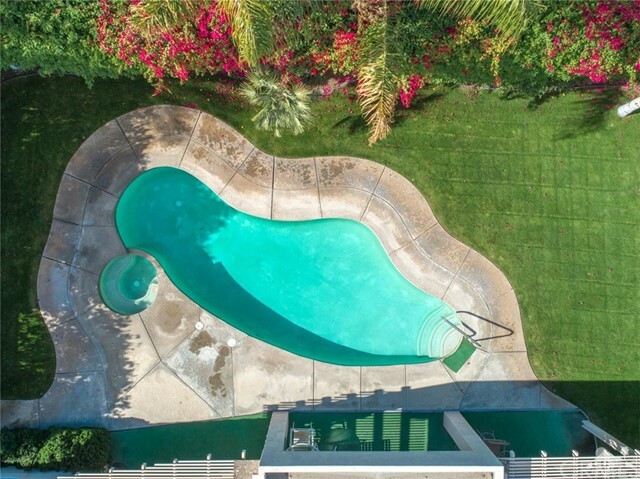 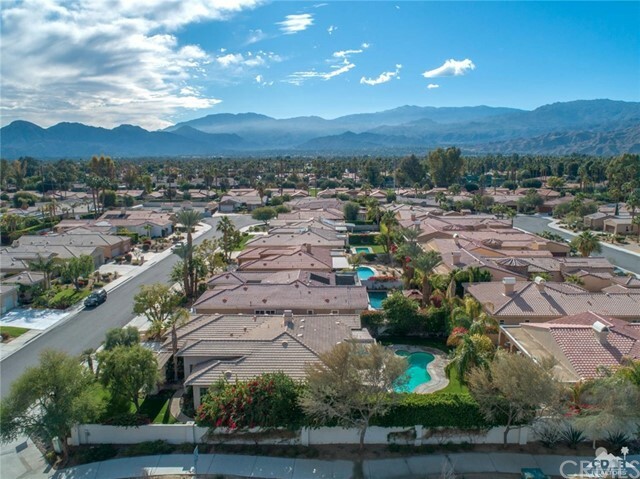 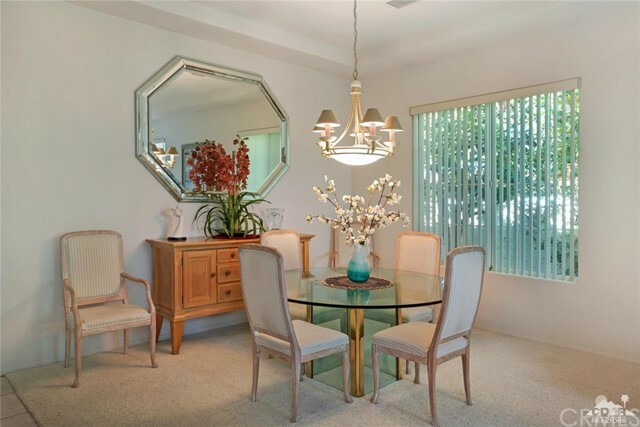 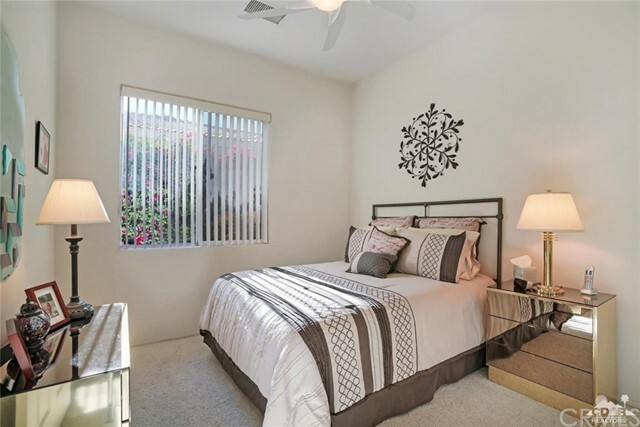 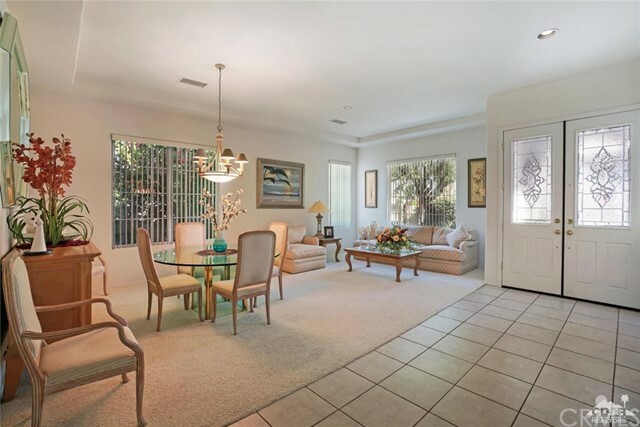 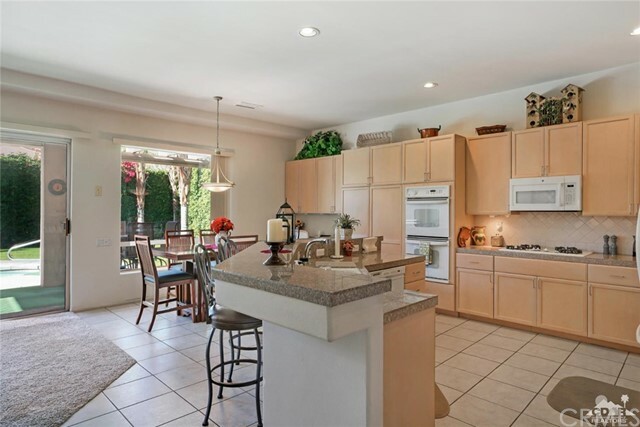 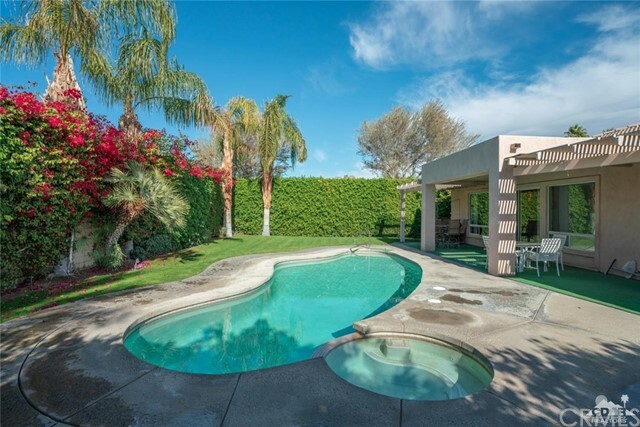 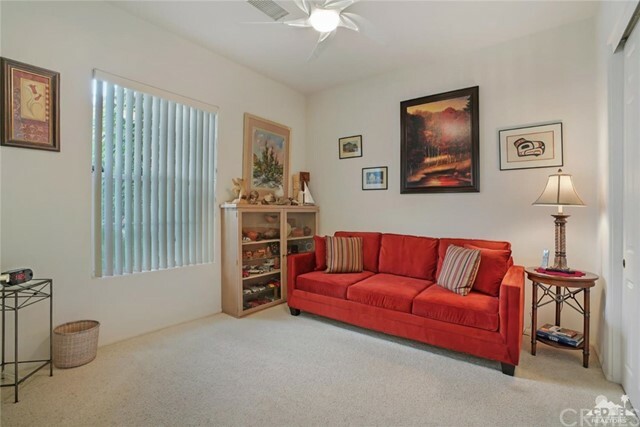 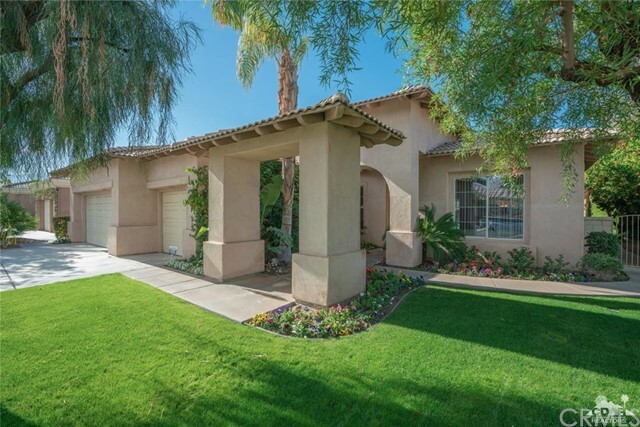 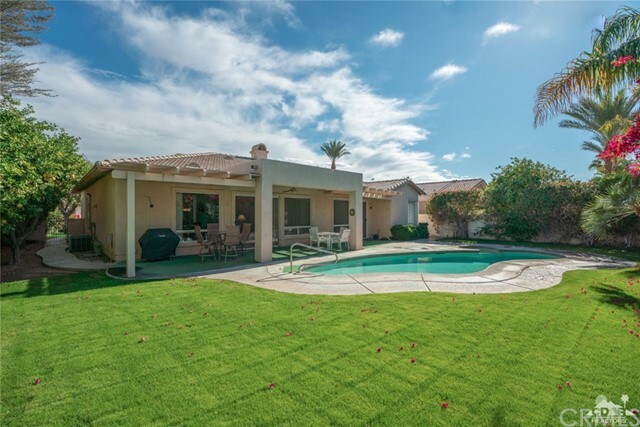 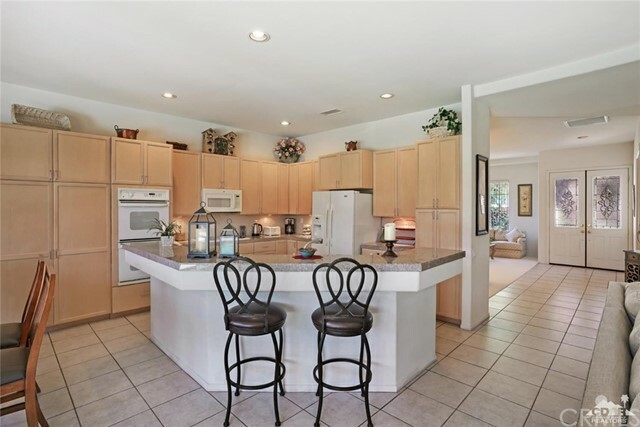 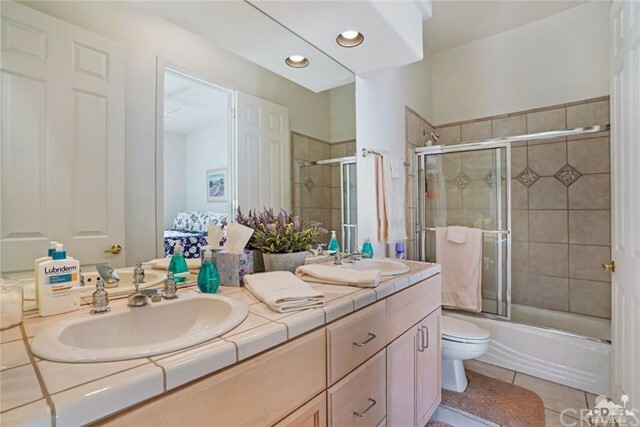 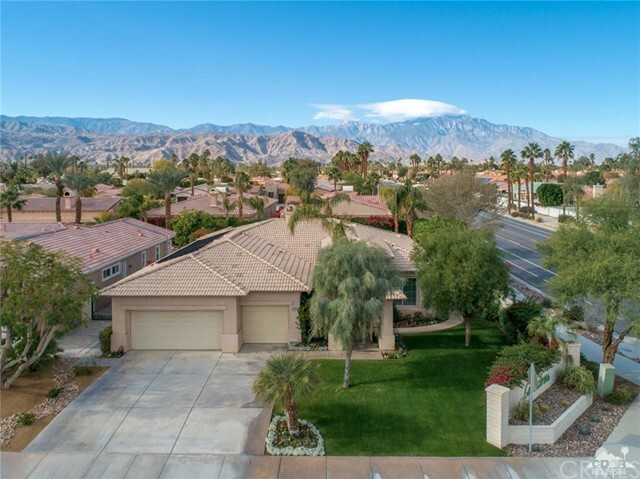 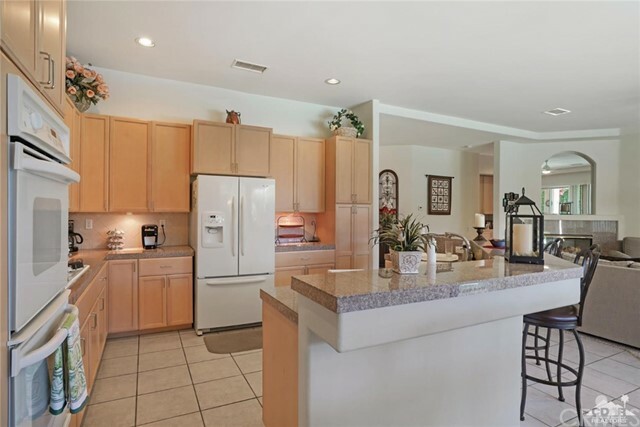 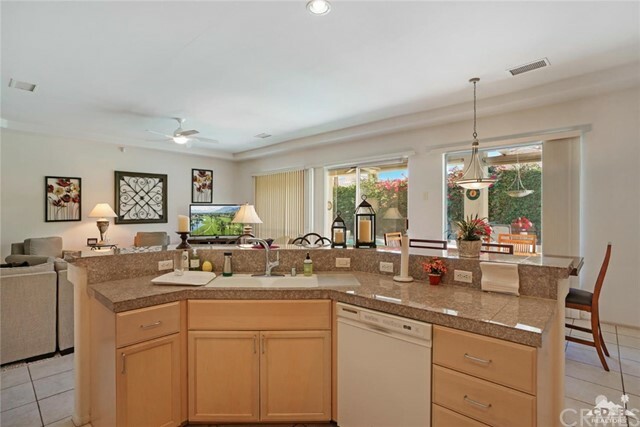 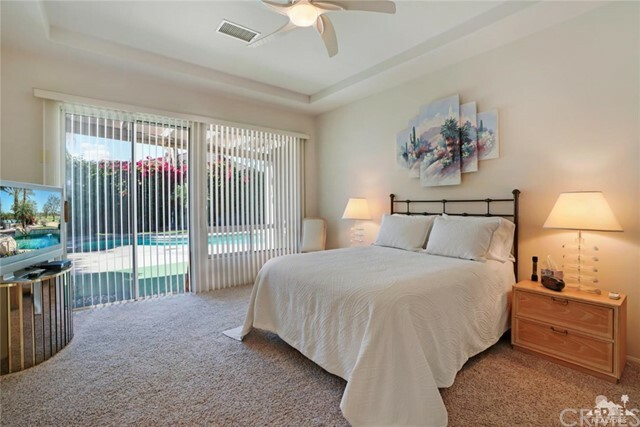 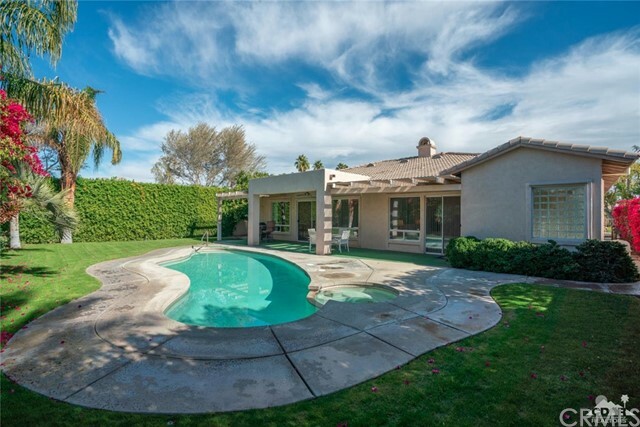 Minutes to shopping, dining, schools, College of the Desert, and the McCallum Theater. 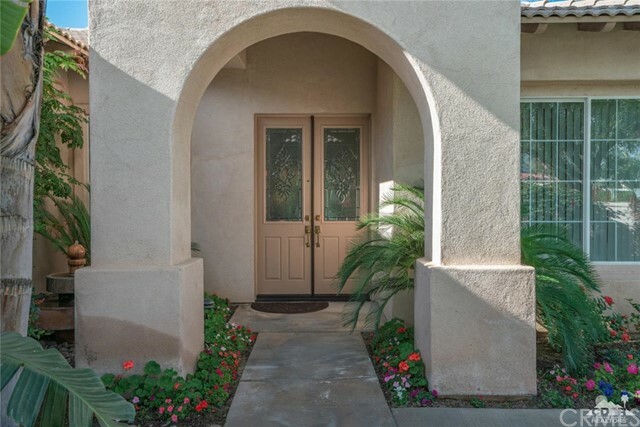 Quick access to I-10. 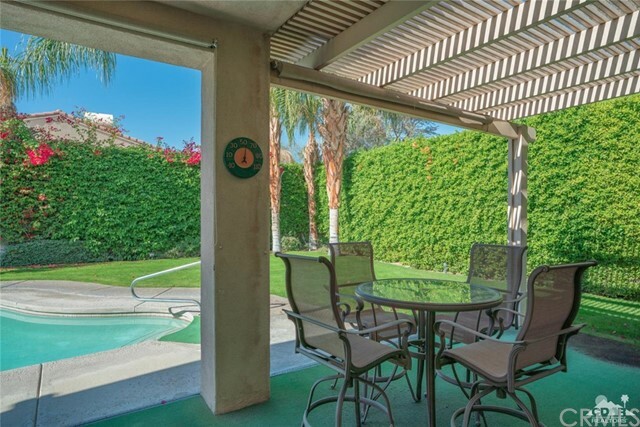 Come to relax in your desert hideaway.